These tasty popcorn squares are the perfect treat and great for snacking on during movies or serving at your next get-together. 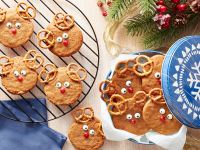 Whether you're participating in a cookie exchange with friends or making a treat for St. Nick, add these adorable reindeer cookies to your holiday baking this year. 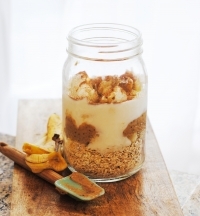 “One of my favourite ways to do this is overnight oats, which packs vitamins and fibre in a small, portable package that's easy to whip up the night before. During fall and holiday entertaining, desserts often command the spotlight. For inspiration, use the beautiful, vibrant colours of autumn and fruit to inspire unique desserts. 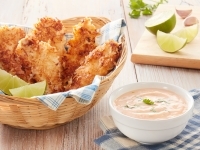 This twist on a kid favourite delivers a truly unique flavour that is sweet and tangy with a little bit of spice. 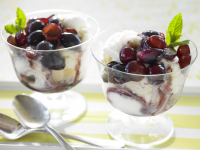 This simple dish is a budget-friendly treat for the entire family at less than $3 per serving. 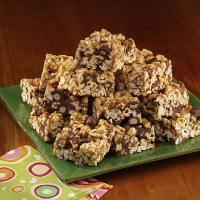 Your kids will think they are getting dessert when you pull out this fun treat made with bananas, nuts and honey. 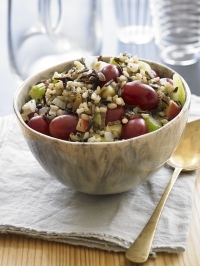 Simple and nutritious, it's also perfect for entertaining or taking to work as a mid-afternoon snack. The inclusion of Zespri SunGold Kiwifruit alone adds potassium, fibre and actinidin. It also provides your daily vitamin C needs. Make this smoothie bowl the night before if you're pressed for time in the morning.